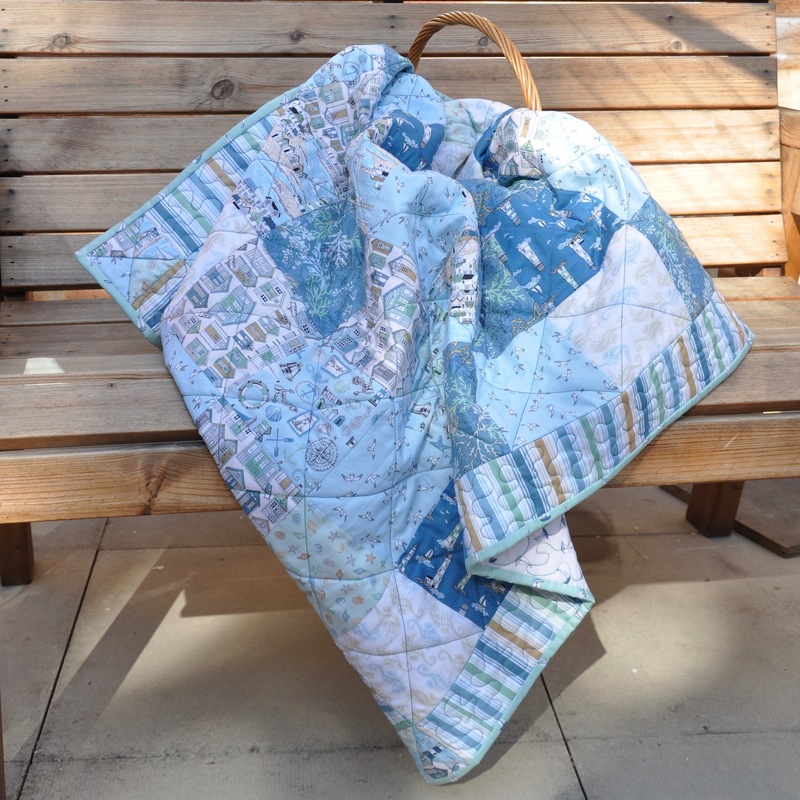 Now that I have gifted this lap quilt, I can share the pattern with you. It is certainly a quick make and could easily be done in a weekend. 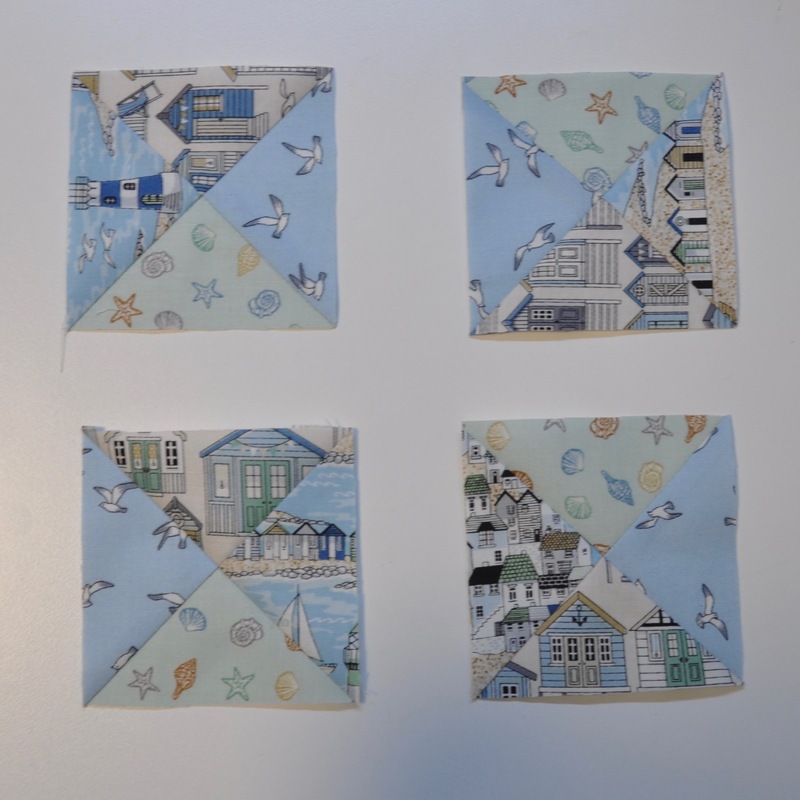 Although my fat quarters were from a theme, I think it would look very stunning as a scrappy quilt. How about from old clothes? At the bottom is a link to print or save your own pdf copy. 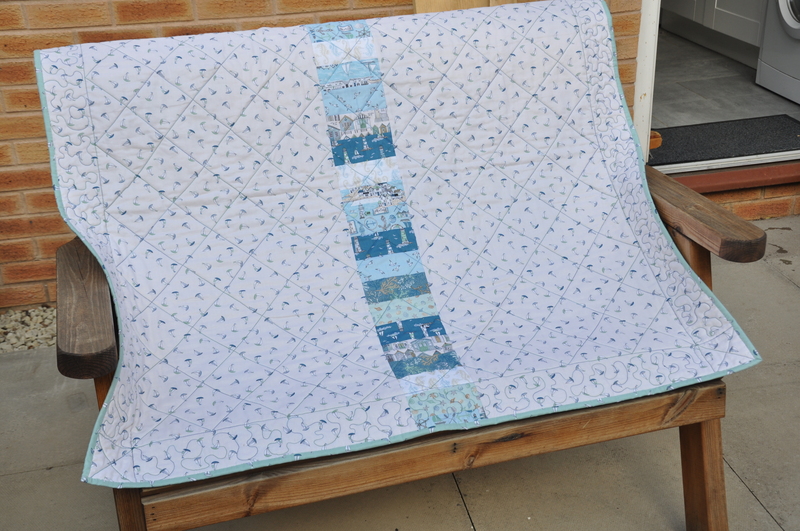 Here are the instructions for the Easy Lap Quilt. 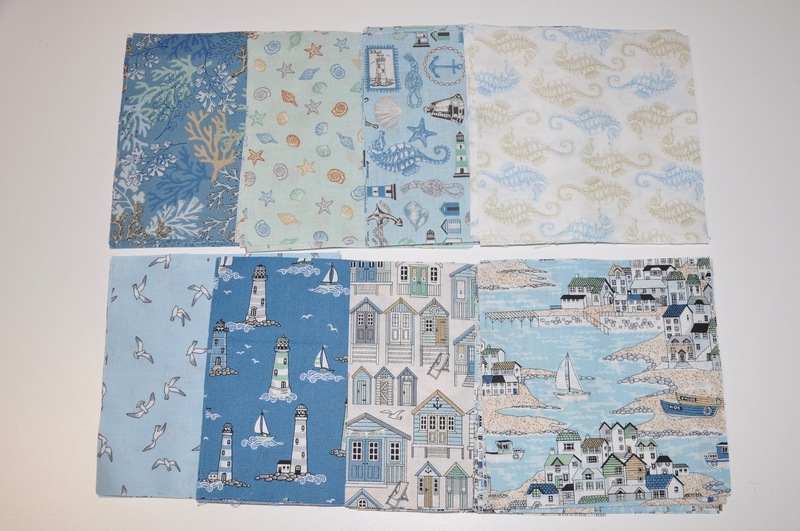 I used a variety of seaside themed prints, but you can use any fabric you wish. Choose 64 of these squares and sew these together randomly into a square that is 8 rows by 8 squares. For the corner pieces, choose four squares. 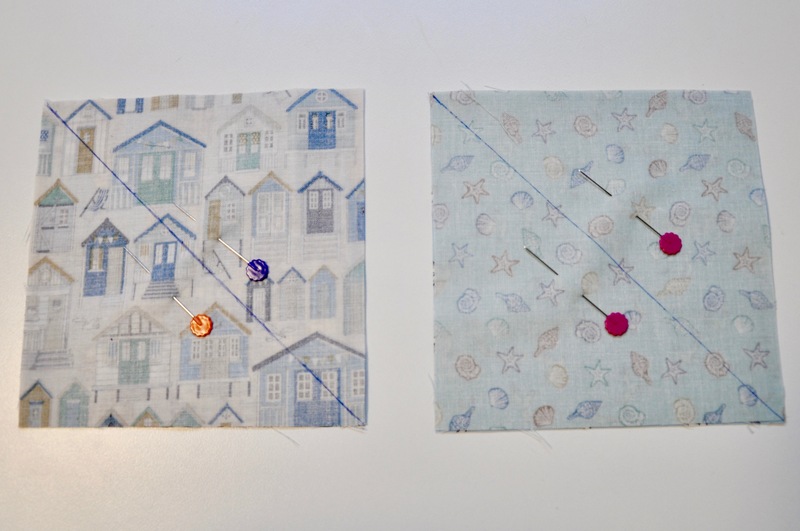 Pin two pairs right sides together, draw on a diagonal line. Sew either side of this line ¼” away. Cut along the line, open and press. Pin right sides together, matching the seams, draw a diagonal line through the opposite corners, sew, cut and press the same as the other seam. 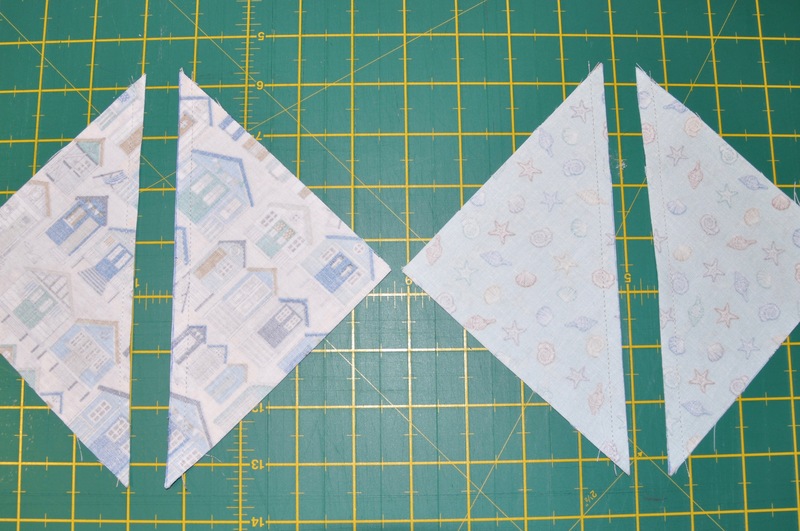 Trim these four squares to 3½”. For the back, choose 13 of the remaining squares. Cut them in half so that you have 26 5½” x 2¾” rectangles. Sew these in a random strip 5½” wide. Cut the backing fabric in half parallel to the selvedge and sew the strip into the centre. 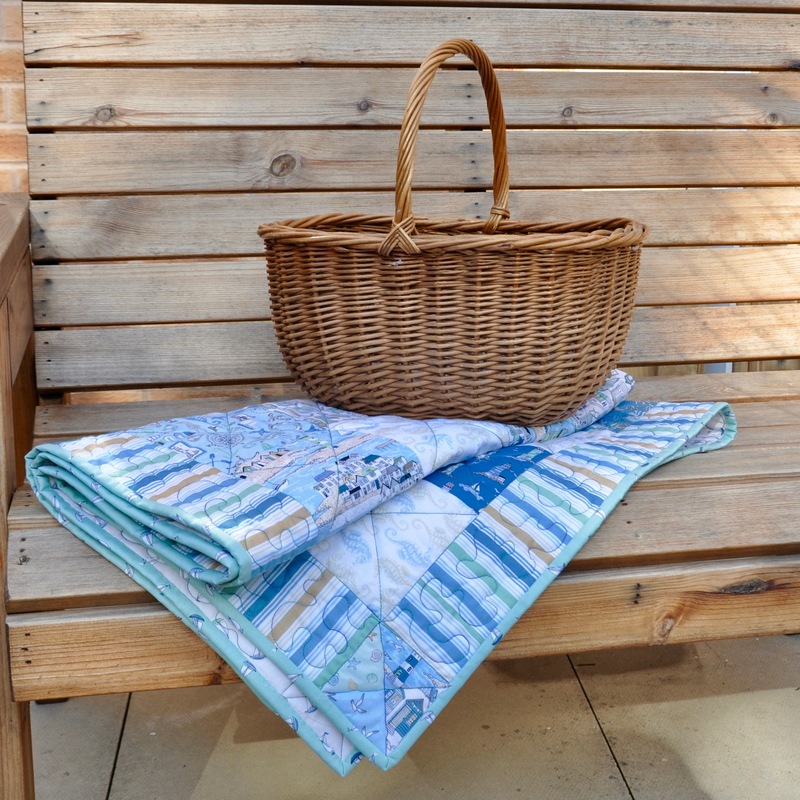 Assemble the quilt and quilt to your own taste. I went for a simple diagonal with stippling in the edge. 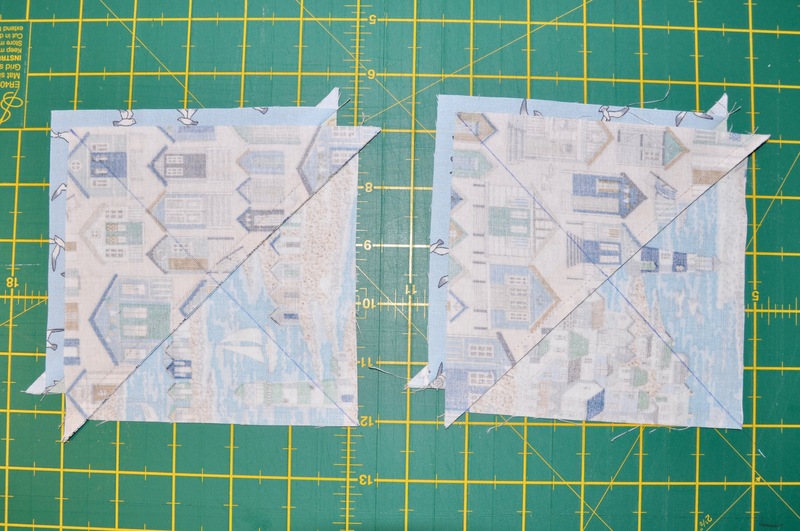 Cut the binding fabric into 5 strips of 2½” by the width of fabric and bind.